The apparent unmasking of a Russian man accused of the Salisbury poisoning has made headlines around the world, but for many the source of the revelation may still be unfamiliar. 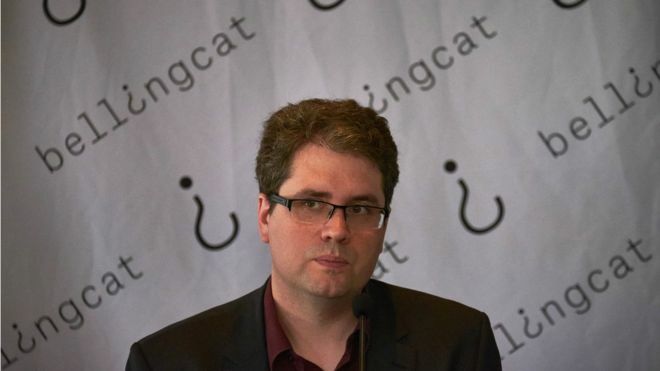 Bellingcat, a website which describes itself as "the home of online investigations", published the bombshell piece on Wednesday. It said that one of the suspects was not a civilian on a sightseeing trip, the explanation put forward by Russian President Vladimir Putin, but rather a highly-decorated military officer named Anatoliy Chepiga. British officials haven't commented, but the BBC understands there is no dispute over the identification. Russia has dismissed the claim as "groundless". The website behind the story was founded in 2014 by British journalist Eliot Higgins, with the help of a crowd-funding campaign. At the time of its creation, he was a lone blogger known as Brown Moses who was operating out of his living room in Leicester. He had been made redundant from his job as an administrative and finance worker for a group that housed refugees and, in 2013, he began to focus on his blog full-time. Despite having no formal journalism training or experience, he quickly gained a reputation in the relatively new field of open-source, citizen journalism, in which people analyse publicly available materials to uncover new facts about major stories. His focus was conflict zones, primarily in the Middle East, and he initially looked into the use of chemical weapons in Syria by examining videos and pictures online. "I just enjoyed doing it so much and I was getting more and people reading it," he tells the BBC. "I saw more and more people who were doing their own kind of open-source investigation and more people who were becoming interested in it." He saw an opportunity to build something bigger than his blog, and decided to try to raise funds for Bellingcat through the funding site Kickstarter. 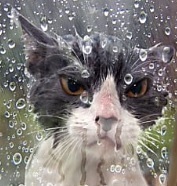 The name comes from the idiom 'to bell the cat', which means to take on a dangerous task. In a post announcing the creation of Bellingcat, Mr Higgins said the website would have two main objectives. Firstly, "[bringing] together a group of writers and activists who through using open source tools have transformed journalism" and, secondly, "[attracting] others to come and learn how to use these same tools". The latter has been an ever-present feature on the site, which has a dedicated section that offers advice and information to budding citizen journalists. There is an eclectic mix of guides, ranging from how to identify burnt villages by satellite imagery to how to collect sources from Syria if you don't read Arabic. "I intended the website originally as a place to have guides and case studies for people who could then learn how to do it themselves," he says. "On the other side, I wanted our own investigations, and a place where people could share what they found interesting and post their own findings." In the past few years, the website has been behind a number of high-profile investigations that have received widespread media coverage. It spearheaded an examination of the shooting down of Malaysian Airlines flight MH17 which came down over Ukraine in 2014, killing all 298 people on board. 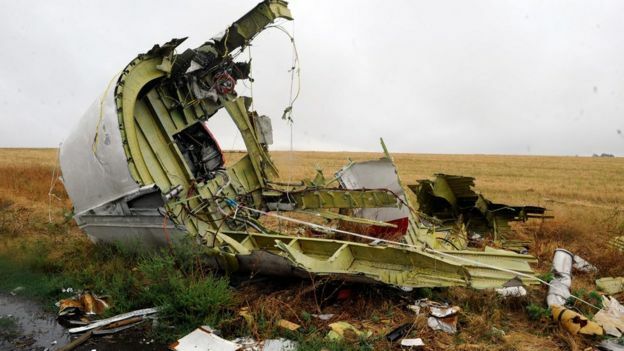 The West and Ukraine say pro-Russian rebels shot down the flight, while Moscow has repeatedly blamed Ukrainian forces. But in 2016, Bellingcat said it had identified Russian soldiers who were likely to have been involved. It linked personnel from the 2nd Battalion of the 53rd Anti-Aircraft Missile Brigade to the tragedy following an open-source investigation. Bellingcat said it then submitted all uncensored names and supporting evidence to the Dutch investigators, who are continuing their criminal inquiry into the disaster. Last year, Mr Higgins told the website Motherboard about the important role social media played in that investigation. "We had photographs shared online, people discussing the photographs, people tweeting about it," he said. "It created ripples, and what we try to do is identify them, and understand them in the context of all the other material. That gives us a very solid case." Other notable Bellingcat investigations have looked into the bombing of hospitals in Aleppo, Mexican drug lords and the war in Iraq. All of these hinged on using publicly available information to uncover new facts. Its work on the Skripal poisoning involved using some similar methods. Bellingcat says its investigators searched images on several online search engines, browsed photos of a military academy yearbook, searched specific terms online and scoured leaked Russian databases. 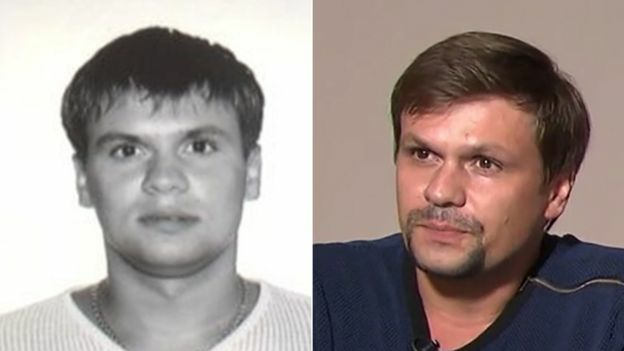 It then obtained extracts from the passport file of Anatoliy Chepiga, which contained a photograph that strongly resembled the Salisbury suspect originally named as Ruslan Boshirov. "The Skripal story has been a coalition of people from different backgrounds working together," Mr Higgins says. "To be able to build that community and be part of that is something I'm proud of." He says the reaction to the investigation has been satisfying. It's been really nice to actually see a Bellingcat story make such an impact [in the UK]", he says. The website has been criticised by Russia - which has disputed the Skripal investigation and publicly questioned whether Bellingcat is an arm of the UK government. But Mr Higgins often responds to these allegations directly on social media and is relaxed about it. "We're used to getting [criticism] both from the social media public and the Russian government itself," he says. "It would be more surprising if they didn't react to our pieces!" Despite what he describes as "day-to-day internet drama", the website has continued to grow. Mr Higgins says its funding comes from crowd-funded donations and workshops he holds on open-source investigations. There has also been a flurry of donations from the public following the release of the Skripal investigations. "Up until about a year ago, we were mostly volunteers and I had three or four people working with me," he says. "Over the last year we have expanded to 10 members of staff plus a translation team and our volunteers. So we've expanded quite significantly." He is now aiming at expanding Bellingcat's work. "We're focusing on a few key areas, we're looking at Yemen and Libya as areas to expand into so we're involved in a couple of projects there," he says. "Everyone here is motivated because they enjoy the process rather than focusing on a particular topic," he adds. "They enjoy the process of doing an investigation and finding out stuff and making discoveries." "I think that's the biggest motivating factor and why they enjoy it."